Hello everyone! Jillian here. Today I have a Get Well card that I am super happy with. I absolutely love the way it turned out. 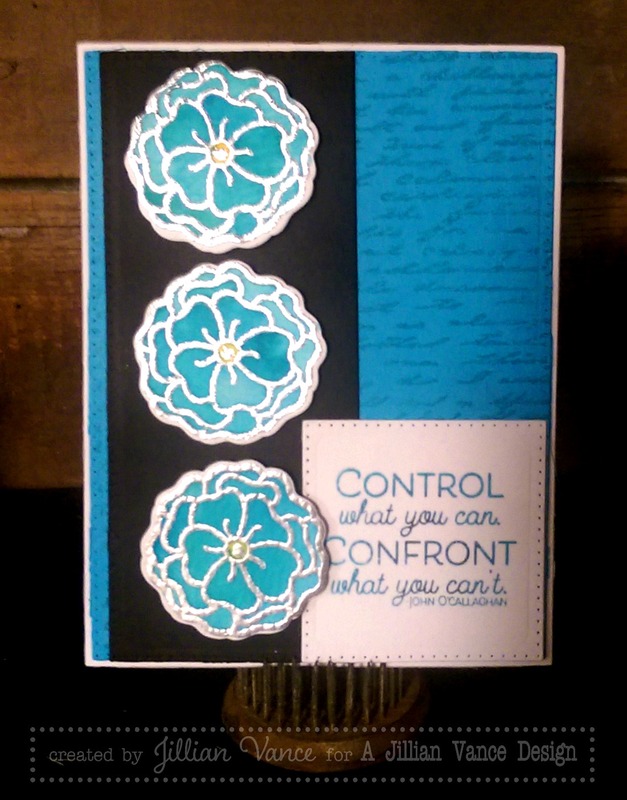 The sentiment, "Control what you can, confront what you can't" is a lyric from my favorite band, The Maine, so I just had to use it on this card! Below is both the A Jillian Vance Design products I used, and the other supplies. I hope you're all having a beautiful day, and I hope this card could give you a little bit of inspiration!